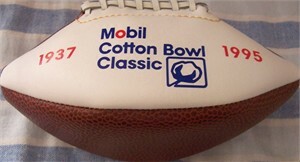 Mini souvenir logo football made by Fotoball and distributed in conjunction with the 1995 Cotton Bowl Classic played in Dallas. A bit smaller than 7 inches in length. 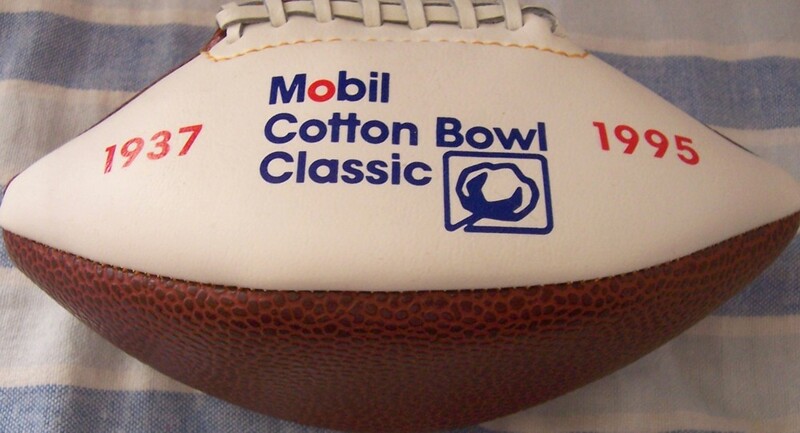 USC routed Texas Tech 55-14 in this game. MINT. ONLY THREE AVAILABLE FOR SALE.